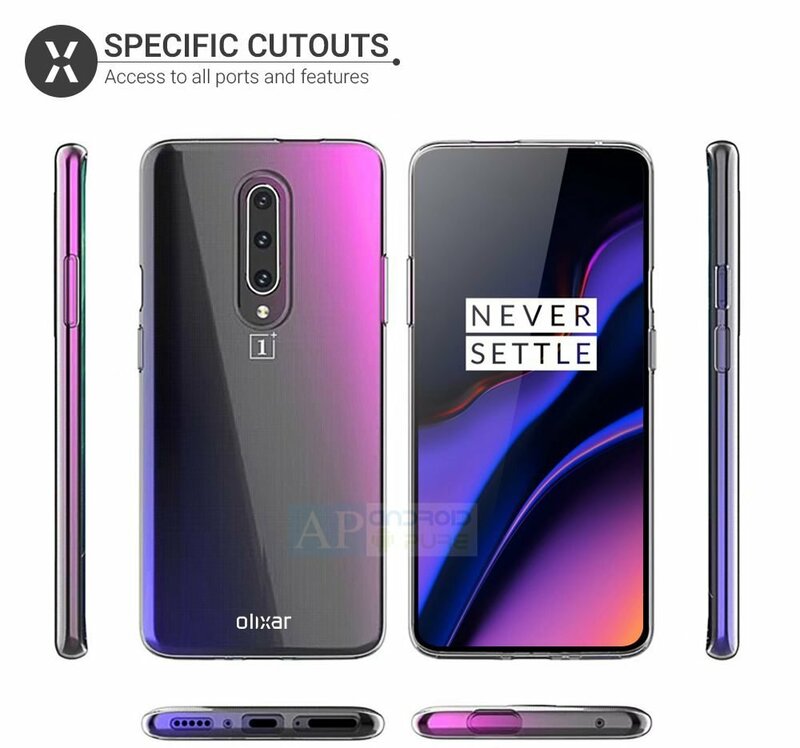 The OnePlus 7 Pro tech specs have been leaked, and we could be looking at a really premium phone. The report says that the device will be equipped with a Super AMOLED display with a Quad HD+ screen resolution. The company’s CEO, Carl Pei, had stated a couple of years ago, that Quad HD is not gonna happen because people aren’t able to the difference between Quad HD and Full HD. Fast forward to 2019, and the company is set to go with Quad HD+. Apparently, the display will have a 90Hz refresh rate. For those unaware, most phones and computer monitors have a refresh rate of 60Hz, that means they can switch the frame 60 times per second, commonly known as 60fps or 60 frames per second. 90Hz means 90 frames per second. The OnePlus 7 Pro will have a USB 3.1 Type C port, which will support VOOC “WARP Charge” at 30W, to power the 4000mAH battery. The device will reportedly have dual speakers. Lastly, the phone is said to come with triple cameras on the back, with a primary lens, a wide angle lens and a telephoto lens. That does tally with our report about some leaked cases for the phone. There is no word about OnePlus 7 Pro having a headphone jack, but given that the phone’s predecessor doesn’t have one, and the existence of OnePlus wireless earbuds, don’t expect the audio jack to return. Back to the display of the phone. For reference, the Razer Phone has a 120Hz display, while the ASUS ROG phone has a 90Hz display. So from what we can tell so far, it is possible that the Oneplus 7 Pro could be hyped as a “gaming phone”, and those aren’t cheap (as in inexpensive). Speaking of which, according to some rumours, the OnePlus 7 Pro will be more expensive than the OnePlus 6T. If that’s true, it will be the company’s most expensive phone yet. And given OnePlus’ history of “price creeping” phones, we aren’t surprised at all. Last month, some rumours indicated that the upcoming phone could be priced at Rs.40,000 to Rs. 45,000. 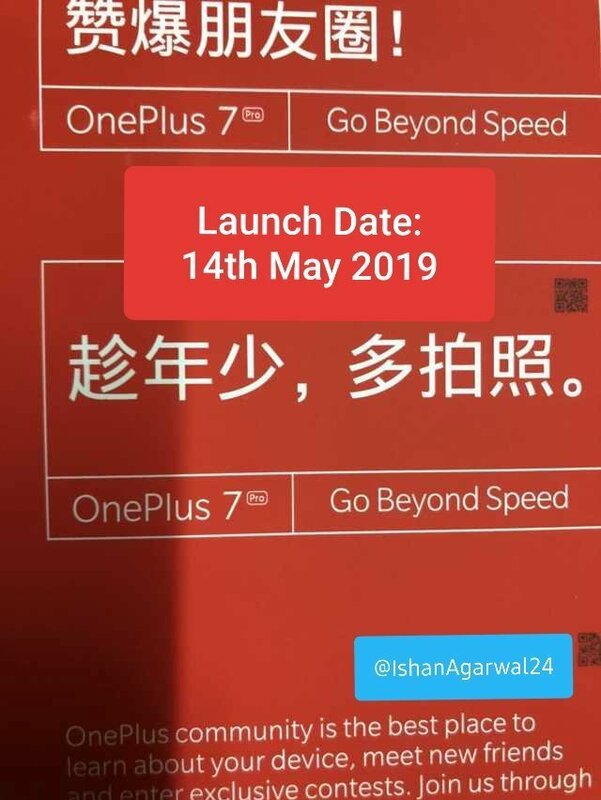 According to the tipster, the OnePlus 7 Pro could be announced on May 14th, in simultaneous events New York, UK and Bangalore at about 8:30 PM IST. We’re just about a month away, and we will know by then what the phone will cost.